Middlesex Aerospace has committed to a seven-figure investment with long-term machine tool partner, Yamazaki Mazak, to support the continued expansion of the company following an extended period of success. Middlesex Aerospace is one of Britain’s leading tier-one suppliers of critical components and assemblies to major OEMs throughout the global aerospace market. The Basingstoke-based business currently employs 150 staff, including five apprentices, and the new investment will lead to the creation of further roles within Middlesex Aerospace’s machining and assembly department. 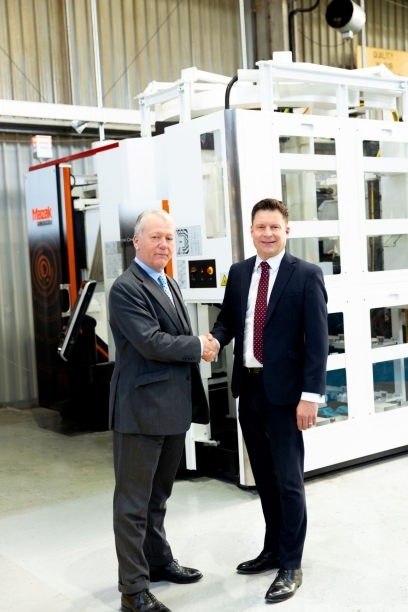 The company has worked with Mazak for over twenty years and its latest investment comprises of two state-of-the-art 5-axis Multi-Tasking machines, and one horizontal machining centre, complete with an expanded tool storage system. The new equipment will not only reinforce Middlesex Aerospace’s existing in-house precision machining capabilities, but the increased capacity of the new machines will allow the company to further develop its offering to customers. What’s more, the new machinery will enable Middlesex Aerospace to operate lights-out un-manned manufacturing, 24-hours a day throughout the entire week; dramatically improving production volumes. Laurence Foulds, Managing Director at Middlesex Aerospace, said: “Our latest investment in machinery is one of the company’s most significant to date, and will allow us to support a number of new customers and programmes, as we continue to grow the business.